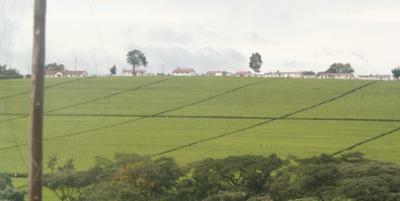 These are pictures of the tea estate in Kericho, Kenya. It´s so beautiful. Thanks so much friends,always happy seeing you comment positively about my few kericho photos, i am heading to Kericho soon will do some few shots. You can catch me up on twitter @jwakibia and @streetnakuru and facebook jameswakibia. Kenya is a lovely place. Thats near kericho town, i do not know that place clearly buts its a breathtaking place..whenever you have time you can always make a road trip and sample the place..
Just back from a months journey through Kenya and Kericho and surroundings are really very very very nice. Thanks so much .I will definately get some more and publish them.you can also see some of my work at www.lafango.com/wackam or kenyanpicture.blogspot.com or facebook james wakibia. Just want to say what wonderful pictures of the tea estates in Kericho. You captured the fields real good. I have been doing a little research and I have to say that the beauty of the tea fields far outweighs the concerns of major companies. Oh just hold me back...I need some restraints. Great pictures James and thanks for posting them. I just wonder if you managed to get to the old hotel in Kericho which used to be owned by Brooke Bond.